This is one of those moments when you just find yourself wishing you were at the right place, at the right time so you could throat punch dirt bags like these…and go all NINJA on them for being such asshats, especially to a little girl! 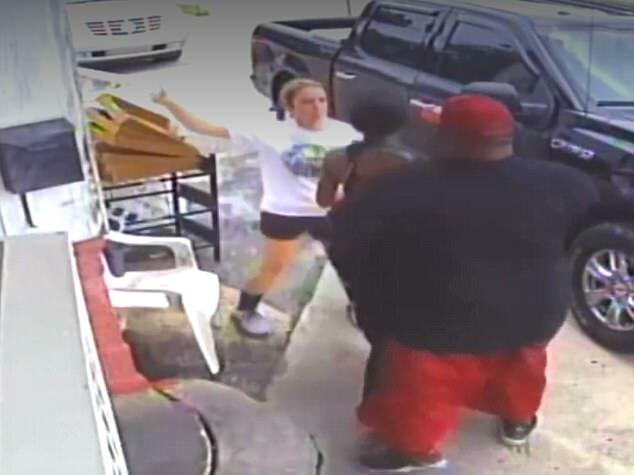 Police are currently on the hunt for a piece of crap couple who were caught on film totally beating down a restaurant owner and knocking out her 15 year-old daughter simply because they were not happy with their meals. It all took place at a Qwik Chick takeout stand in Georgia. Just after 3 pm on a Thursday, the couple who have been identified as Nathaniel Eric Smith and Latasha M. Smith engaged in an altercation with the owner of the food store. She is Jeanette Norris and the purpose for this altercation? Well, the sick couple claimed that their chicken was cold and that they were shorted on their fries. 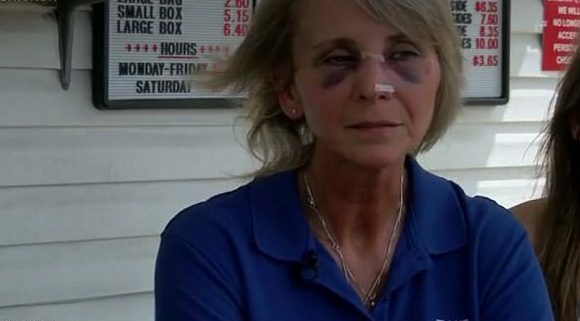 What makes this situation even more maddening was that Norris actually refunded their money and apologized for their upset, but described in her own words when she had done this the couple went ‘berserk’ anyway and started to beat on her store’s windows. So, she exited the shop to tell them that the police were on their way. No sooner did she do that than Latasha rushed at her punching her numerous times without any mercy. 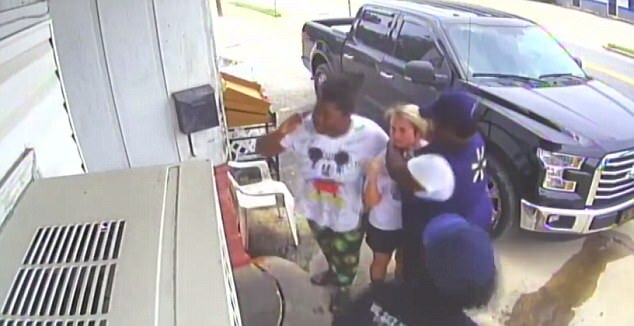 Norris’ 15 year-old daughter gets out of the vehicle parked by the door and comes over to assist her mother. That’s when the HUSBAND of Latasha throws a fist right at her face which sent her flying backwards. Then simply walks off like he didn’t just break several laws by doing so. Soon after, a few other customers quickly came over to help comfort the girl who was beside herself over what had just happened. There are active warrants of aggravated battery and cruelty to children out on the couple. Norris said that she’s been touched by the outpouring of support from the community.